MLB catcher who hit the famous 'Homer in the Gloamin,' a game-winning shot that put the Chicago Cubs in first place in 1938. He started playing baseball as a kid in leagues just outside of Worcester, Massachusetts. He was the catcher in the 1932 World Series when slugger Babe Ruth allegedly called a home run. He had one son and one daughter with his wife Martha. 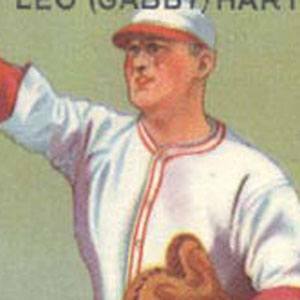 He was the catcher for Carl Hubbell in the 1934 All-Star game when Hubbell struck out the famed "Murderer's Row."